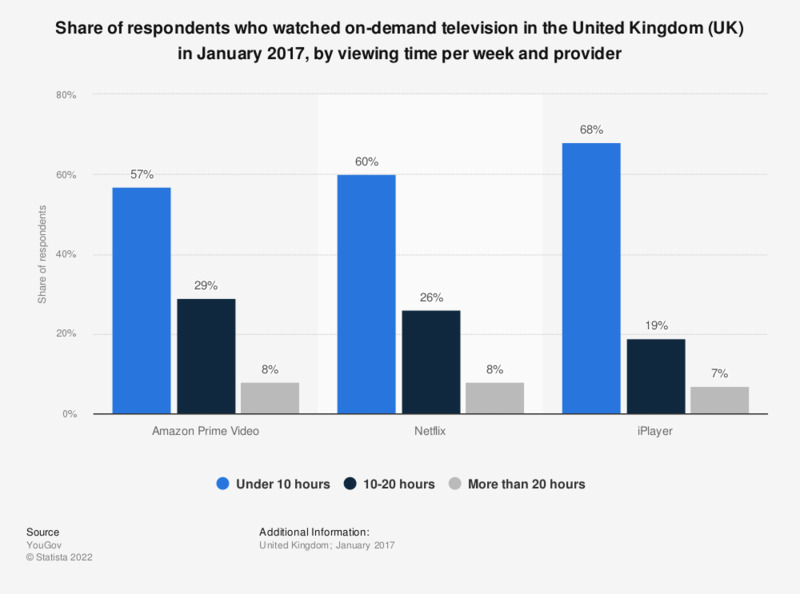 This statistic shows how much time customers of different on-demand television providers spent watching TV on-demand every week in the United Kingdom (UK) in January 2017. In the period of consideration, 68 percent of BBC iPlayer customers stated to watch under 10 hours of on-demand video per week. The source adds the following information: "Profiles collects and connects data on brand usage, brand perception and brand satisfaction. Media consumption, mobile behaviour and social media engagement. [...] More than 120,000 data points from more than 200,000 respondents." Find more information here. Which of these paid-for TV and music streaming services do you subscribe to?